Commentaries on Genesis today range from the fanciful to the technical. The book of beginnings has been debated for centuries by theologians, linguists, and scientists. Why should you take the trouble to read another book on Genesis? Perhaps the best reason is urgency. Over the past four generations, Christianity has precipitated from a large majority belief system among those who came of age during the first half of the 20th century to something less than 15 percent of young adults entering educational institutions and the workforce today. 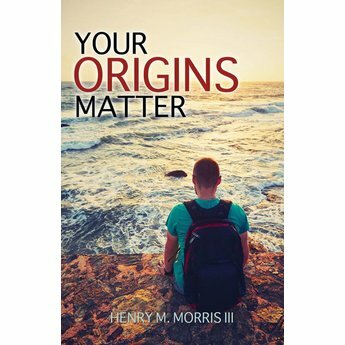 If you are considering this book, you are probably bothered by these conditions and are looking for ways to help those in your sphere of influence find their way out of the morass. 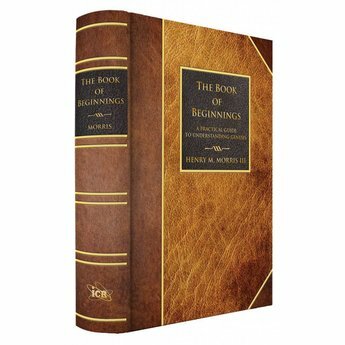 In this new comprehensive edition of The Book of Beginnings: A Practical Guide to Understanding Genesis, Dr. Henry M. Morris III addresses the difficult issues in the Genesis record. 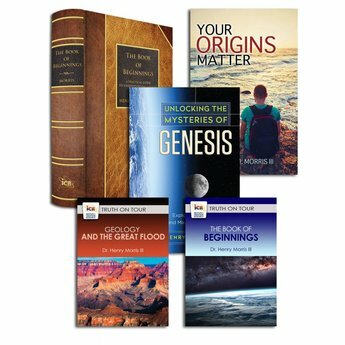 These in-depth answers will give you confidence in your study of the Scriptures and help you communicate the richness of Genesis to those around you. Have you wondered how the creation story of Genesis fits with the evolutionary theories of popular science? You're not alone. Many Christians wrestle with the seeming disparity between faith and science. They want to believe the inerrancy of Scripture, but it's difficult to reconcile their beliefs with what science texts teach. 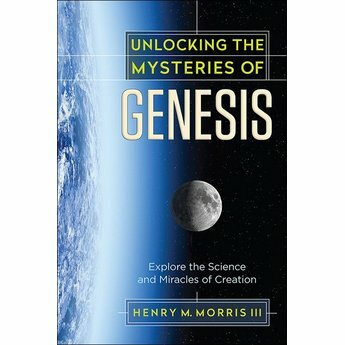 Unlocking the Mysteries of Genesis seeks to resolve this conflict by answering key questions about the origin of human life, the evidence left by the fossil record, and how the findings of science line up with the Bible. 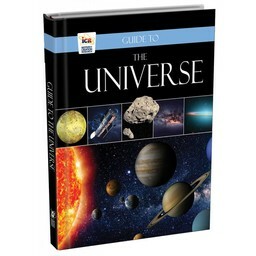 Using the most current research and data, this visually informative book takes readers on a journey that explores the wonders of God's creation through the lens of faith-based science that clearly points to the authenticity and accuracy of the biblical creation account. The compelling evidence you'll find as you study both Genesis and science will challenge your intellect and reinforce your faith. Earth's history is written in the rocks. Evolutionists look at them and see millions of years, while Bible believers look at the same rock record and see just thousands. Who is right? 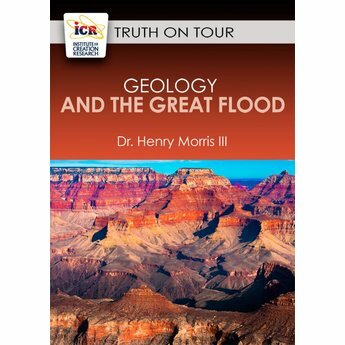 Examine the evidence with ICR's Dr. Henry Morris III. Sedimentary layers reveal catastrophic deposition on a regional scale. Fossils point to massive tsunamis that buried countless creatures in deep layers of mud. Warped and folded strata reflect enormous geologic forces that are not at work today. Everything we see aligns with a worldwide flood exactly like the one recorded in Genesis. We live in an age when there is more evidence for the accuracy of Scripture than ever before in history. Be prepared with answers for the authority of God's Word. 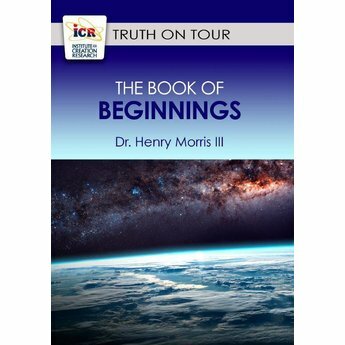 Join ICR CEO Dr. Henry Morris III as he explores the mysteries of Genesis and shows how the Bible can be trusted in all matters of theology, history, and even science. Genesis lays the foundation for all Scripture. If God lied to us there, in His very first book, then the Gospel message is worthless. What part did the Trinity play in creation? Why did God's "very good" world go so wrong? Did humans evolve from chimpanzees? How did Jesus' miracles demonstrate God's ability to create? Dr. Morris answers these questions and more! Offering faith-building teaching to encourage your spirit, his presentation will reinforce your confidence in the Scriptures and make you ready to give a defense for your hope in Christ! In an extended Q&A session following the presentation, Dr. Morris discusses some of the most frequently asked questions about science and the Bible. Total Shipping Weight: 4 lbs. 12 oz.